Solar Decathlon Europe was honored last week by the European Commission with a Sustainable Energy Europe Award in the Communicating category. 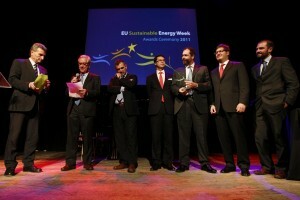 The annual awards reward best-in-class initiatives that promote renewable energy and energy efficiency in the European Union. More than 300 initiatives were considered in this year’s competition.